Welcome to our Road Trip USA post! 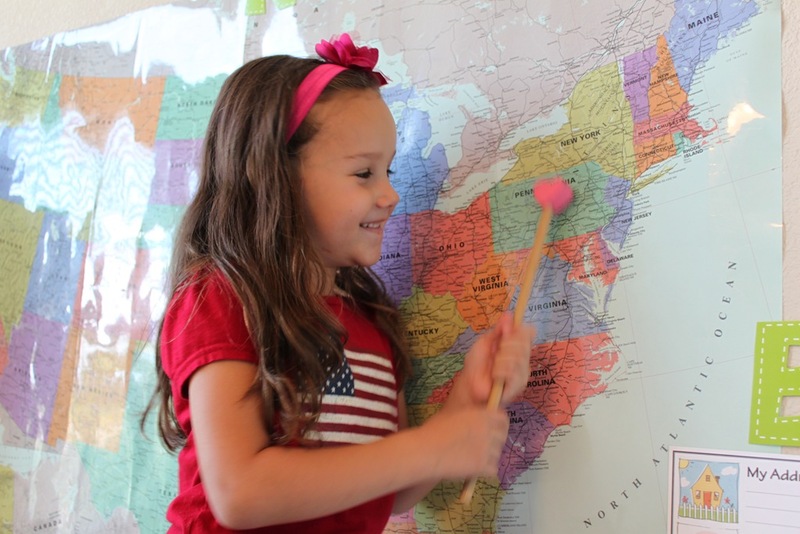 This week we traveled to Pennsylvania! 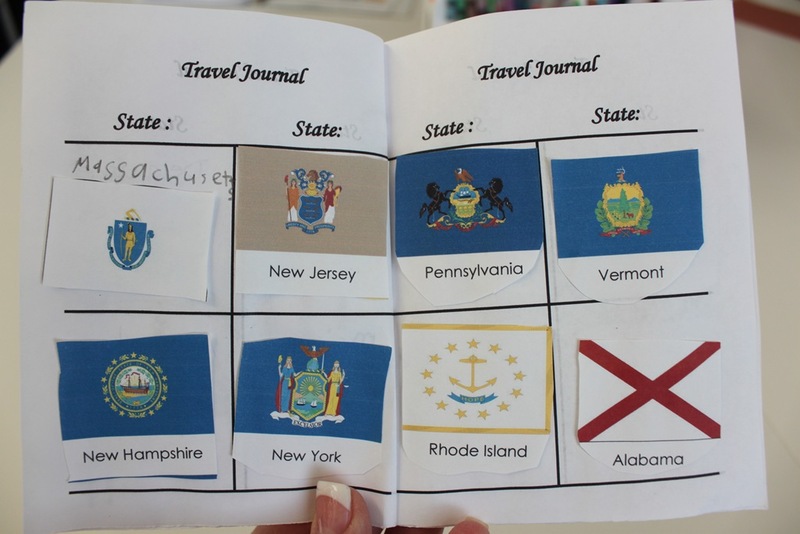 We started off our time by reviewing all of the states we’ve learned so far, then locating our new state on the map. State Insect: The Firefly, we also learned about bioluminescence. US Presidents: James Buchanan, the 15th President of the United States. Read Who was Thomas Jefferson? Food: We had some yummy Philadelphia Cheese Steak Sandwiches! 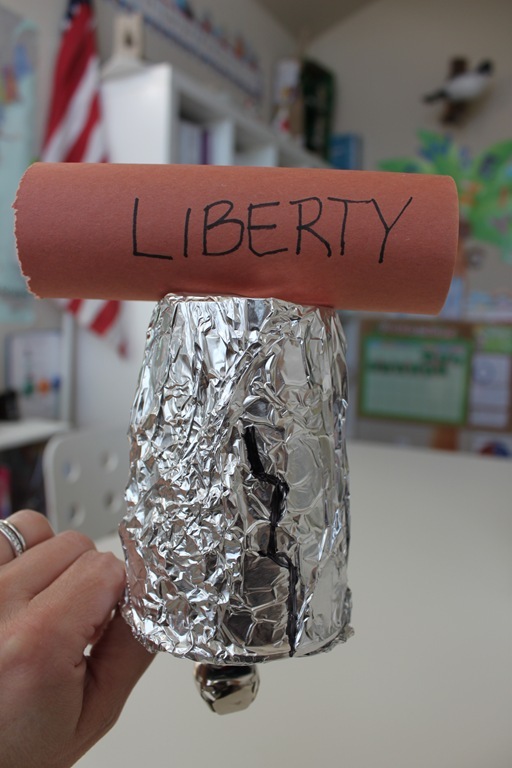 Learned about The Liberty Bell and did a Liberty Bell kids craft. The kids are really doing great with our 50 states song, we only have 2 more verses to learn and we’ll have the whole thing down pat. Since it’s such a long song, we took it one verse at a time to help make it easier for them. I’ll put up a video once we get the whole song down. 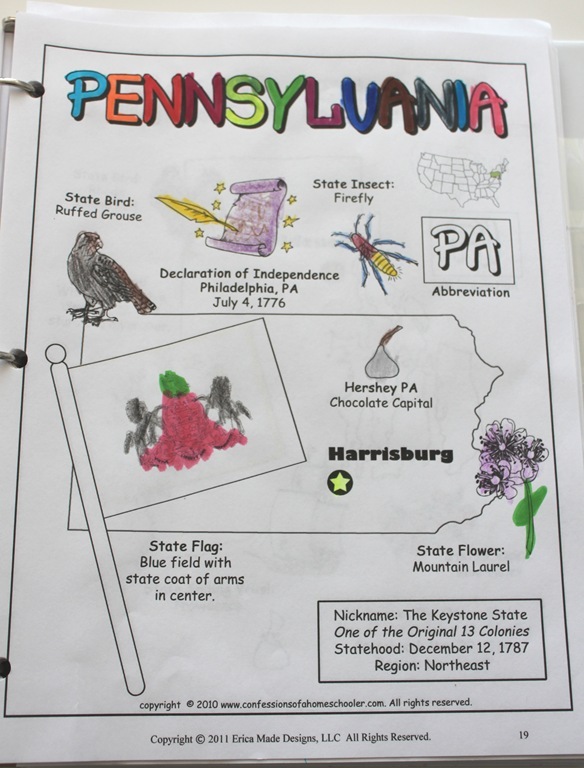 Worked on our Pennsylvania coloring page and learned all about the state symbols. 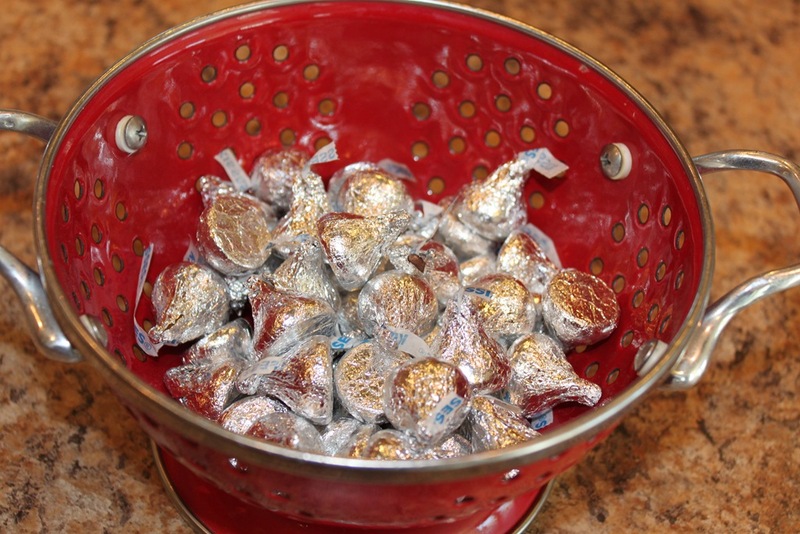 Of course since Pennsylvania is the Hershey capital of the world, we had to have some yummy Hershey’s kisses! 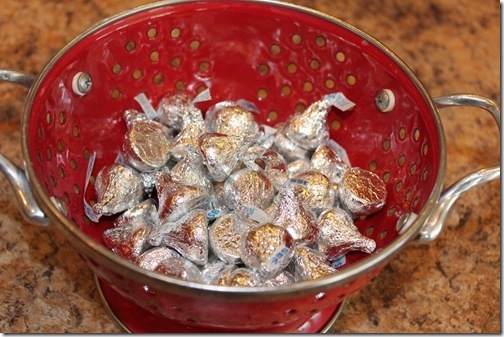 Actually my curriculum said to make those awesome peanut butter kiss cookies, but sadly the kisses didn’t last that long! Next added Pennsylvania to our mini-US poster. 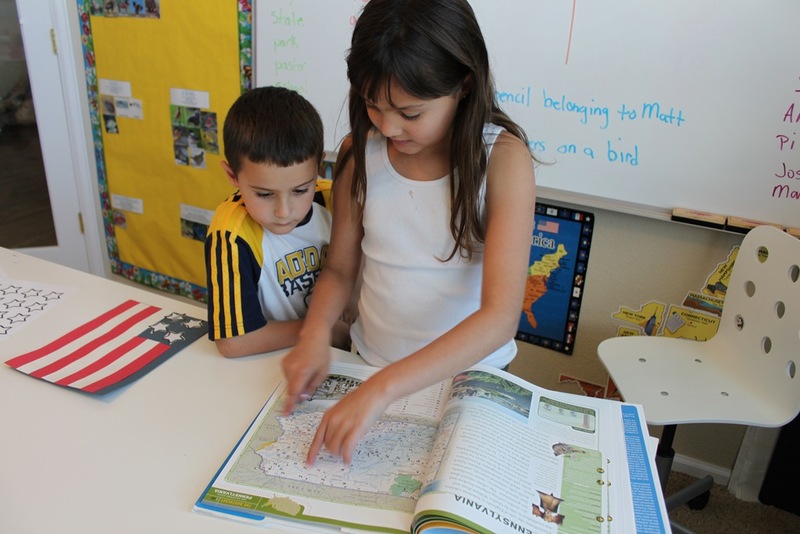 We learned a little about Betsy Ross who was born in Philadelphia, Pennsylvania. 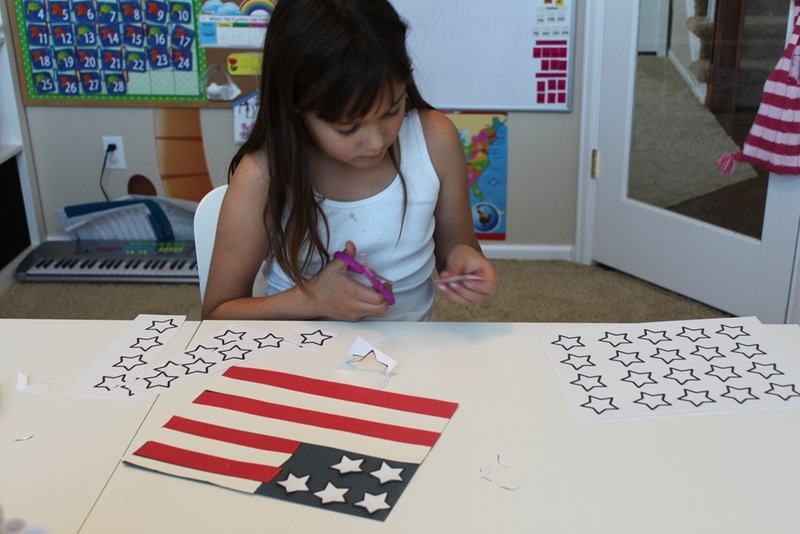 Since she was known for making the first American Flag for George Washington during the American Revolution. We made our own version out of red, blue, and white construction paper. We read all about Pennsylvania, then practiced our mapping skills by using the map key to locate various spots in PA, including the capital. 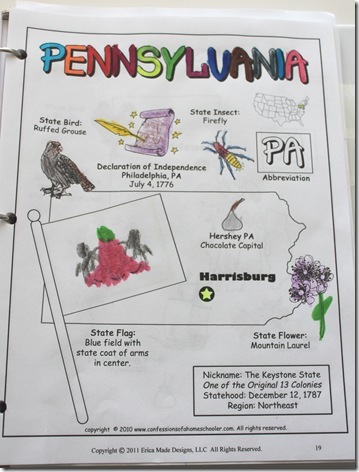 We also added our Pennsylvania state section to our bulletin board. 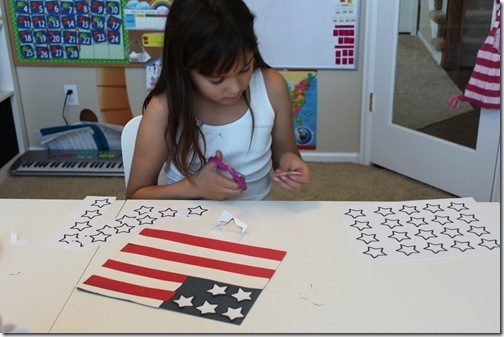 Liberty Bell Craft: Lastly, we did a cute little liberty bell kids craft. I kind of pulled this one together, but it got the point across! We used some brown construction paper for the top, then wrapped foil around a plastic cup. We added a jingle bell in the center with a pipe cleaner and ran a hole between the cup and brown construction tube to secure it. We wrote the name “LIBERTY” on the top and added in a crack with a sharpie! And that wraps up our New York study! If you’d like to come along with us on our Road Trip USA journey, click the image below to learn more! You make this look so easy! I wish I had half of your talent. 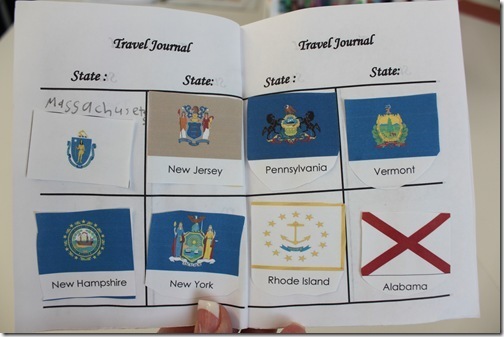 Is it safe to assume that all of these great ideas and printables are in the Road Trip packet we can purchase? 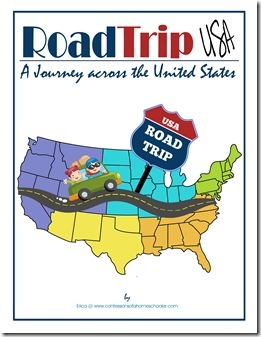 I’m going to check out the road trip usa. It looks like fun. I’ll have to incorporate this into my homeschool when my kiddo is old enough. Was all of that completed in one day? How much time do you set aside for one lesson? How many lessons per week? Oh my goodness no! I usually do 2-3 days per state, depending on how much we get done. The first day we read the info and color the page, the next day we do the crafts and review the info etc. Sometimes it gets pushed to 3 days. I usually do Road Trip 4 days per week. It’s all laid out what to do on which day in the lesson plans. 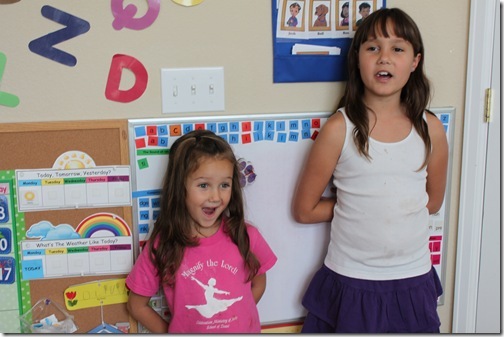 I think I’d wait for Road Trip until she was in first or second grade. I started with the Expedition Earth, and my daughter (4 at the time) did really well with it. She loved all the crafts, and learned how to say hello in each language. She remembered where all the countries were as well, I was impressed with how much she got out of it. I recommend starting with the Expedition Earth world geo, then moving to Road Trip USA since that one has more facts and history involved.